Simplicity, masculinity, and style meld in this collection oF functional and attractive designs for men to knit and wear. 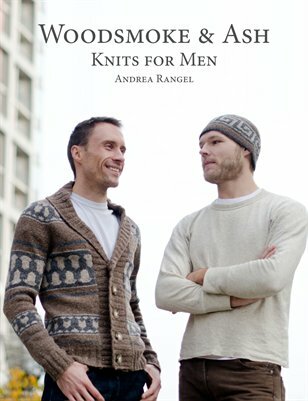 Knitwear designer Andrea Rangel brings you seven new designs created to fit into a man’s wardrobe and knitting queue. All of the patterns are practical, wearable, and knittable. The varitey of patterns gives a man cold-weather wear for both city and country life. With stitch patterns that are designed for durability, knitting interest and subtle visual appeal, the garments and accessories feature ribbing and color work for maximum warmth. These pieces are sure to become a staple for many winters to come.